Yesterday, after 10 days, I got back home from Budapest. 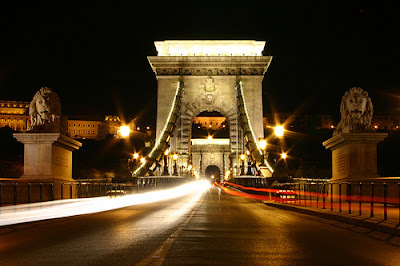 I spent 10 A M A Z I N G days in Budapest and I returned home as a new person, I can simply say that to you. I realised a lot of things, met a lot of people, and lived a free life. I relaxed, found something new, experience something new, and I had a great time. I miss Budapest and all the people I met there. This experience I experienced in only 10 days is PRICELESS. I will tell you more about it in future posts, so stay tuned... I'm starting to write my day one today. Thanks everybody for reading and for being there for me. Btw, I have a questions, what is going on with wayner, I didn't hear from him in more than a month??? I'm kinda worried... Did anyone see him on another blogs? That sounds awesome! I'm glad to hear that you got what you wanted out of your time there! I hope you're refreshed and ready to take on the world again. So your own kitchen and bathroom eh? You've gotta give us a bit more details on everything! No updates on Wayner...that's an oddity! Hope he's doing good! Thanks for your comment. Btw, I'm kinda very worried about wayner? Does anyone know how we can contact him?